A few months ago, BRAVO-6 released B6-35063 USMC Tank Crew-Vietnam kit with 3 figures – Commander, Loader and Driver in action poses . Vladimir lately decided to give them a break and sculpted the tank crew getting rest in relaxed poses. B6-35067 U.S.Tankers-Too Darn Hot includes 3 full figures posed to sit on a tank hull like an M48A3 but they can also be used almost in all other Vietnam Era vehicles like M551, M113, M706 and more. Figure parts come well packed, inserted in seperate zip-lock bags, inside a light brown cardboard box. Front part shows a photo of painted figures and backside is labeled with a humorous poster as in all assembly guides by Vladimir ; Lennon and Yoko showing how to make PE microphone assembly. Parts are cast in gray resin in crisp details and represented with easy to remove casting blocks. No need for serious cleanwork or filling as the review samples have no casting mistakes, air bubbles or flesh resin but some seamlines on the arms and especially on the backs of Figure-B and C will need to carve and sand. Kit includes 3 full figures. Every figure comes in 3 pieces ; body with head and two seperate arms. Based on their poses and reference photo above Figure-A is the commander sitting on the open hatch of turret, Figure-B the loader to sit on the loader’s hatch and Figure-C the driver to be placed on the left side of the tank hull. Similarly, all figures wear Tropical combat uniform trousers and leather/canvas jungle boots. Figures A and B wear OD T-shirt and C is sculpted in bare chest as having a sunbathe.Facial details, muscular details on chest and arms, cloth folds on trousers and shirts are well represented. As for the headgear; they have CVC Helmet . Two figures wear it on head and one carry at hand. Combat Vehicle Crewmen helmet was a lightly padded crash helmet for wear inside all US armored fighting vehicles during the Vietnam era providing head protection for the bumps and jars. 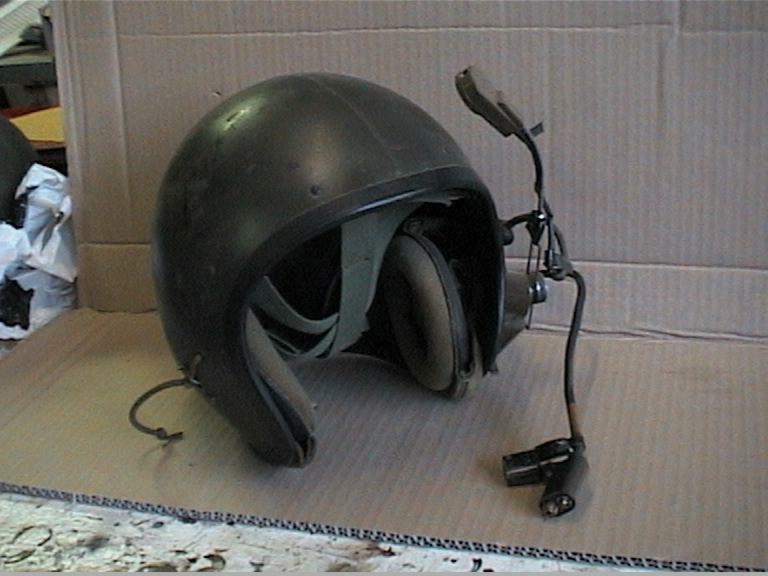 It was composed of plastic-resin coated ballistic nylon and gave almost equivalent protection as the M1 helmet. The details on the helmet like Exterior draw string which allows the wearer to snug up the earphone cup allowing a better fit and Send/Receive switch box are well defined. Four boom-type microphones -2 for 2 different types - are given as PE parts and a how-to guide is supplied on the box cover. With their poses, sculpting and casting quality,extra PE parts; this kit is one of the best kits for a tank on a Vietnam scene. Highs: Very nice poses, great sculpt and nice cast.Photoetched microphone parts. Thanks for the review. I just got these guys in the mail last night. It's amazing how well these figures capture the look of exhausted tankers. I don't know how Vlad did it but these figures are capable of evoking emotions from the viewer. You look at them and you truly feel for them. That said, I had a little trouble with the loader figure. His left hand is molded to this thigh which didn't fit well with the arm. The wrist seemed a little too small/narrow for the hand and will require a little putty and/or a PE watch to fix. My only other criticism, and it's minor, is that the commander appears to be responding to something behind him while the loader and gunner are stoically facing forward, unaware of whatever it is he's looking at.